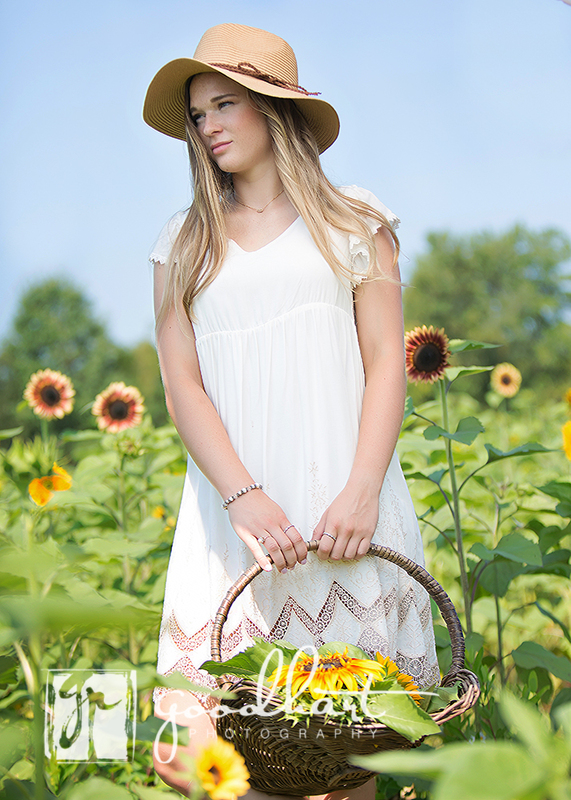 When Victoria and her mom said they wanted to take senior pictures in sunflower fields, I was excited to try a new location. 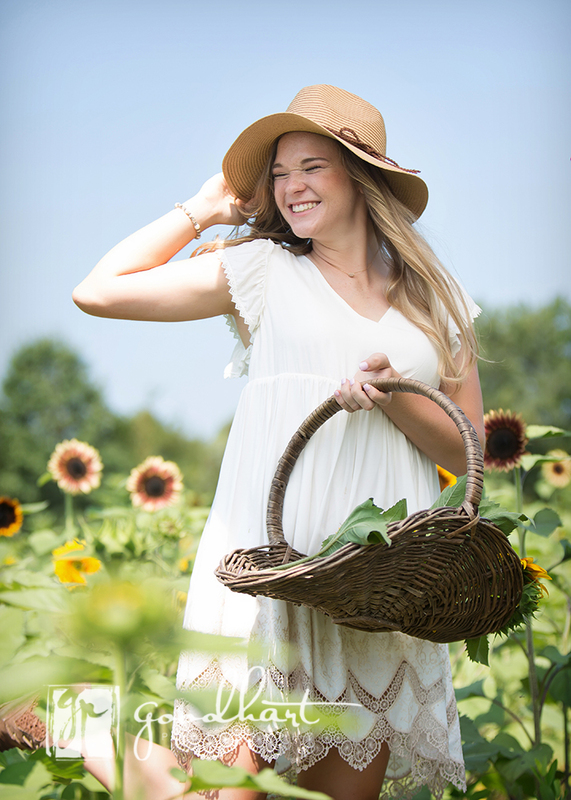 Nothing says happy and fun-loving like a field of sunflowers either, and it brought out Victoria’s playful side. It’s a bit of a drive, but the pictures are completely worth it! Victoria looked absolutely gorgeous in her white dress, cutting sunflower stems and walking through the fields. I remember it was about 100 degrees during this shoot! Fortunately Victoria had her makeup applied professionally by Meredith Ehler, so her makeup didn’t disappear in the humid heat. After about 30 minutes we all got overheated and sought shade. 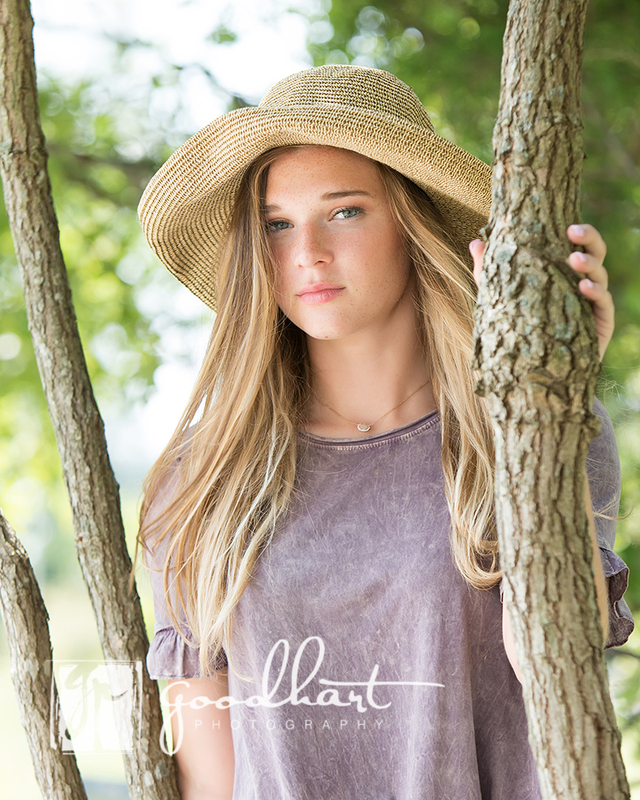 But if the heat was responsible for Victoria’s gentle gazes and soft, subdued expressions at the end of the shoot it was totally worth the Washington DC heat and humidity. Plus we each took home an armful of sunflowers! Interested? 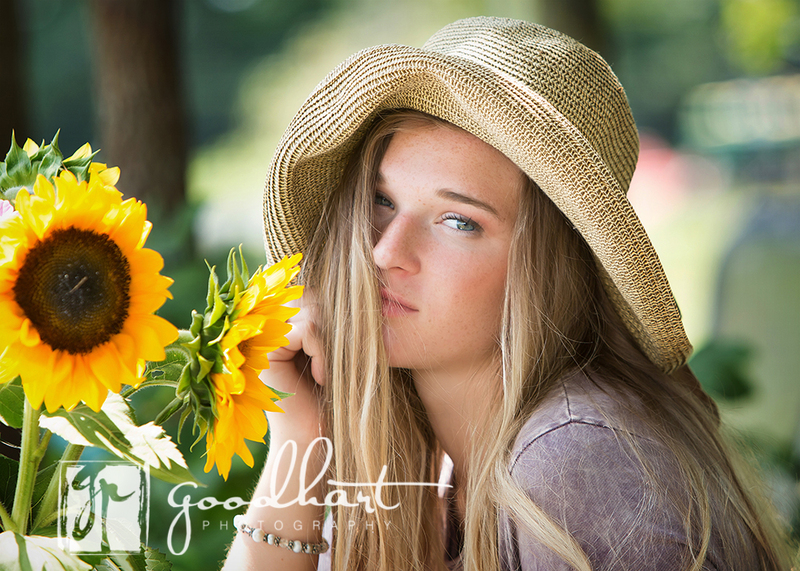 Senior Pictures in sunflower fields are only available in late July through August, depending on the weather. 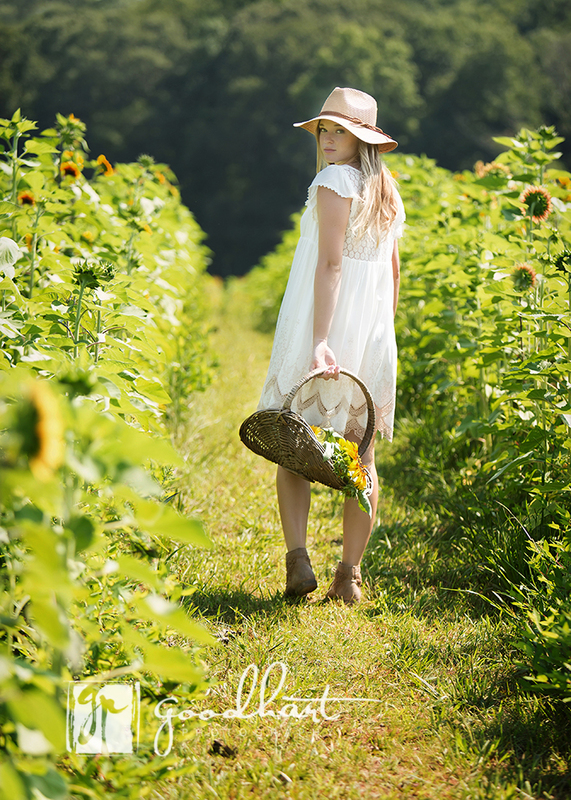 There are additional entrance fees and travel fees to shoot in the sunflower fields, so please give me a call or use the contact form below if you would like more information. 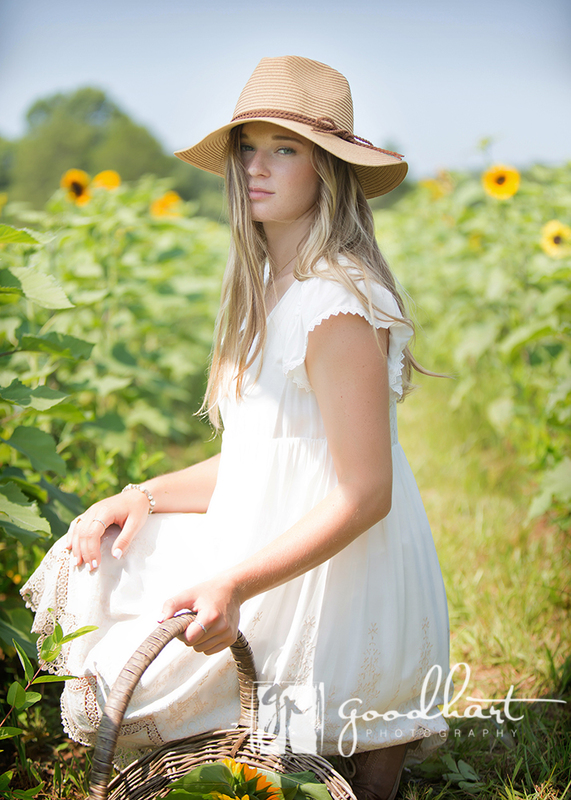 Ready to book your senior pictures in sunflower fields? 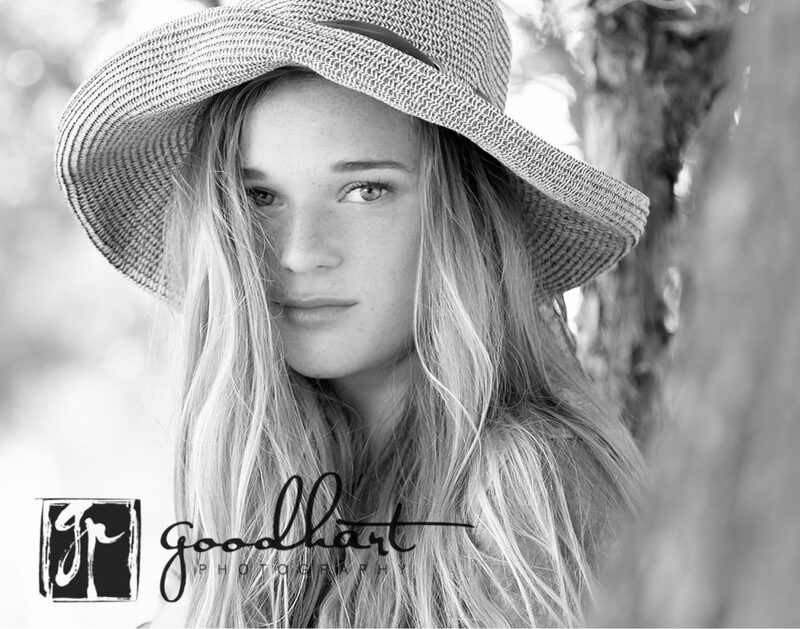 Ready to book your own senior portrait session with Goodhart Photography? These are gorgeous! I can’t believe how beautifully you photographed in this sun!! I specially love the one where se is smiling big looking to the side and holding the basket. Truly captured her fun personality. What a stunning location!! These are beautifully captured. 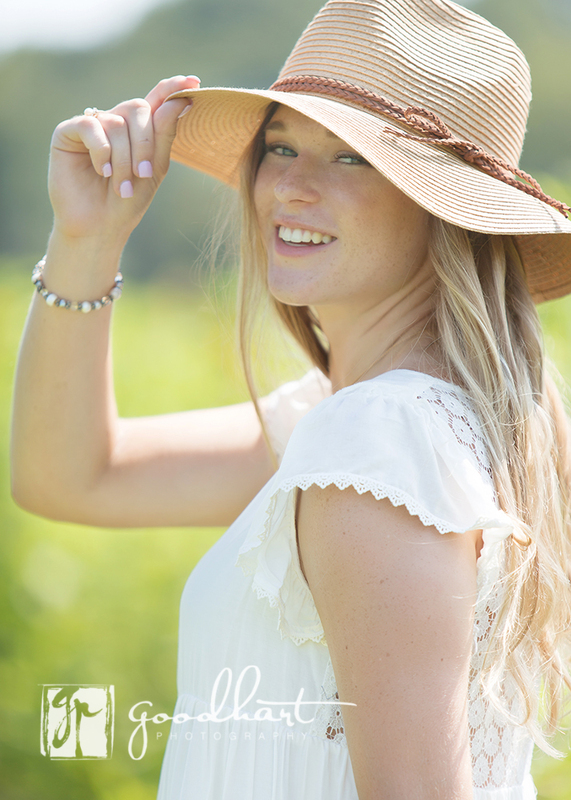 What a beautiful place for a senior session! Love a good sunflower field! And she is gorgeous! Great session! Looks like a dream session! Congrats!! Looks like a dream session! Congrats on the amazing work!! Review: Won’t You Be My Neighbor?